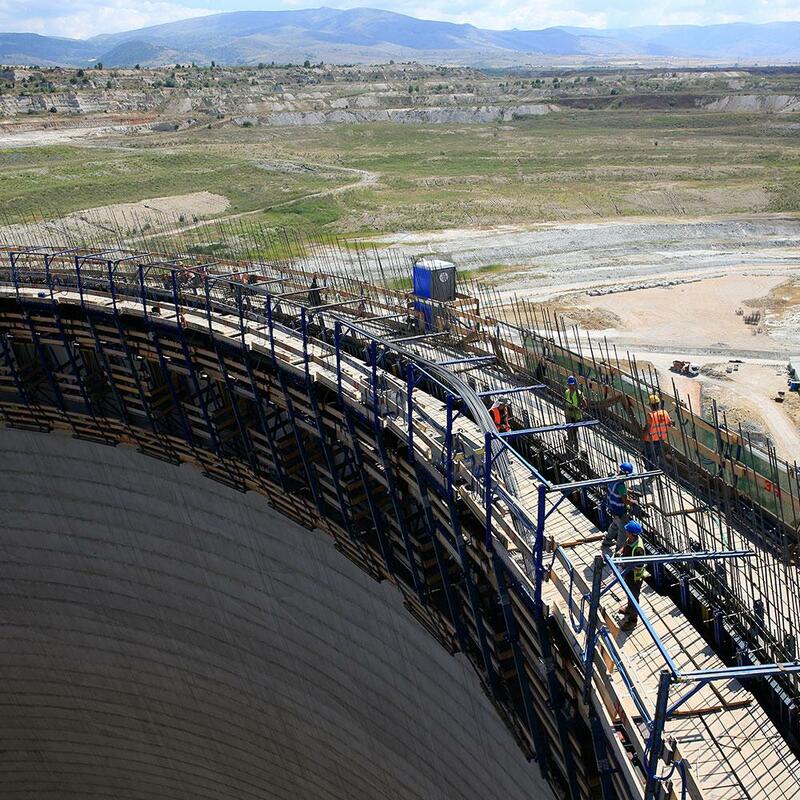 Ptolemaida - On site at one of the biggest projects in Greece in recent years, construction of the lignite-fired power plant Ptolemais Block V needs cooling-tower formwork expertise from Doka, plus compliance with a very special structural requirement. 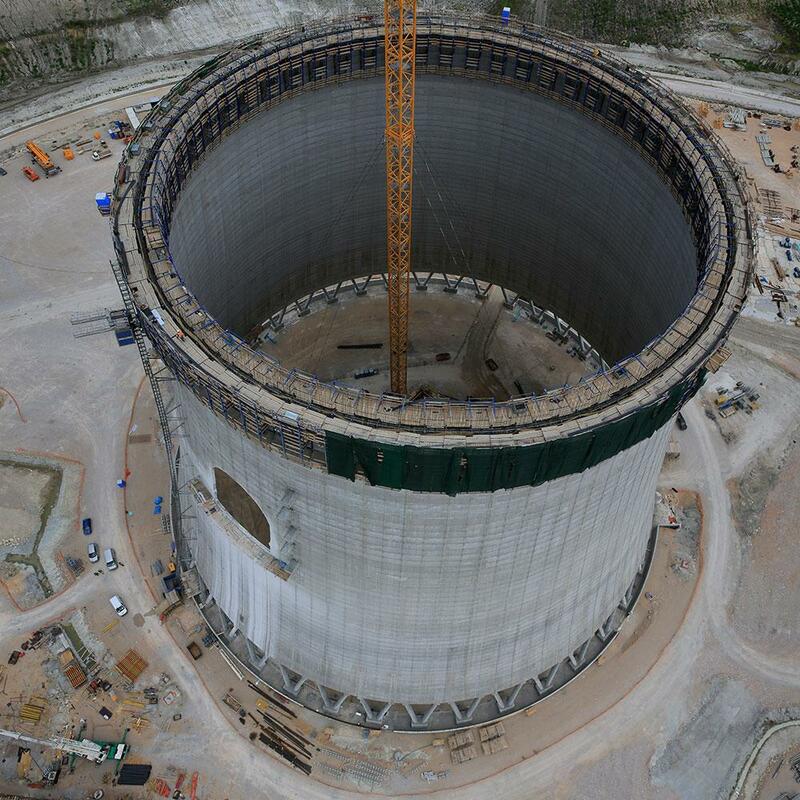 This is the first time that Doka has used an earthquake-proof design to form the first rings of a cooling tower. The lignite-fired plant is sited in a seismically unstable part of Greece, so additional materials are needed on the site and extra safety precautions have to be implemented during the build. 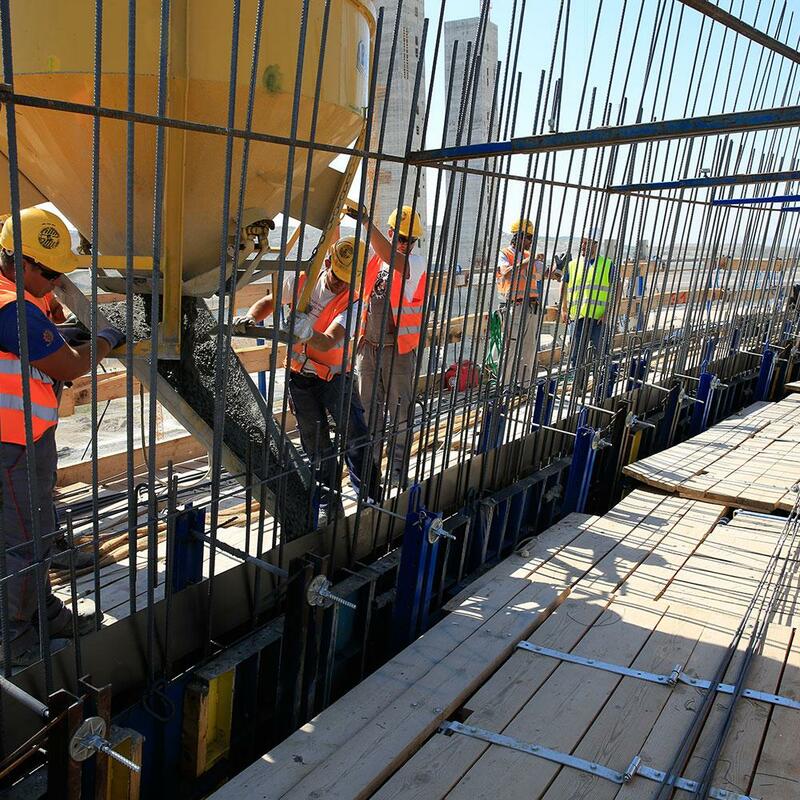 In close cooperation, Doka Greece and the GEC EN in Amstetten elaborated a specific construction concept to maximise the efficiency of the Doka formwork technology. For example more braces, anchorages and stiffening profiles are added to ensure stability during construction. Hitachi Power Europe, Terna S.A. Thank you for your interest - Ptolemais Cooling tower. Thank you very much for your interest - Ptolemais Cooling tower.